You are here: Home » Using the Right Grill and Tools to serve up a great 4th of July feast! Using the Right Grill and Tools to serve up a great 4th of July feast! It’s no surprise that on the 4th of July, the grill is king. Although Independence Day celebrates the day that our great nation was born in 1776, we all know that grilling (and fireworks) are iconic symbols and activities celebrated on this fun, outdoorsy day. Whether you’re cooking hotdogs, hamburgers, grilled veggies, or anything in between, your grill will be your best friend on the 4th. So, it is important that your grill is working properly so you can do your food, and this great holiday, some justice. 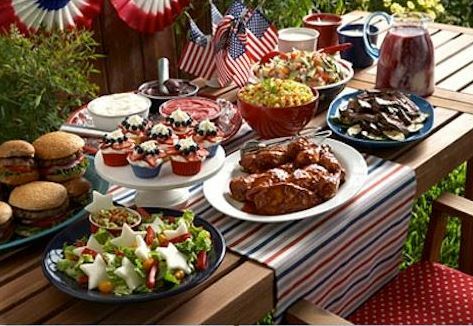 Here are some tips/reminders to ensure that your 4th is a delicious one. Show off your grill skills by using the zone technique. With warm and hot zones, your grilling will be even and efficient, allowing you to cook multiple types of food at once without having to worry about over or undercooking – a problem that arises when the grill is set to just one temperature. In the warm zone, set your grill to 100-150 F for indirect heat. In contrast, your hot zone will be at 500 F for direct heat. Plain and simple: Do not constantly flip your burgers and hot dogs! Although it is fun and undeniably looks cool, this causes the meat to lose its flavorful juices, leaving it dry and boring. Let the meat rest for a few minutes before serving! Remember, the cooking process does not end once you take the meat off the grill! Use the classic “finger test” to check the temperatures of your meat! Index finger to tip of the thumb feel signals rare; middle finger to thumb signals medium rare; ring finger to thumb signals medium; and pinky finger to thumb signals well done. Having a great grill is just as important as having a great chef use the grill. If your grill is outdated and giving you more problems than you have time to deal with, invest in a new grill. The Delta Heat 32-Inch Model, running off of propane gas, is as top-of-the line as it gets. Featuring a double door cabinet, this grill has a high and even heat output. In addition, it has a full rotisserie system so you can enjoy succulent, evenly-cooked meats! 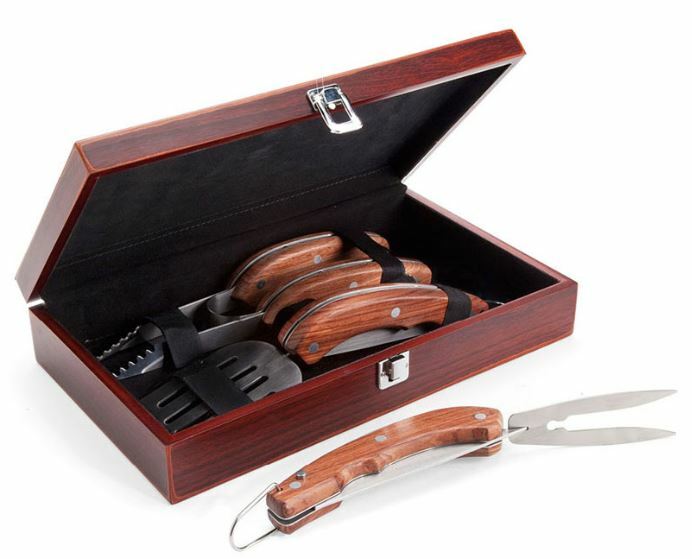 Made in the United States, the Delta Enterprise has a sleek design that makes grilling elegant while ensuring quality. Whatever your grill or techniques may be, we hope that you have a happy and safe 4th of July! We know that your grill specialties will be a huge hit!